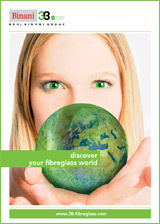 3B-the fibreglass company corporate brochure. 3B has an extensive experience in providing cutting edge solutions to the automotive value chain. 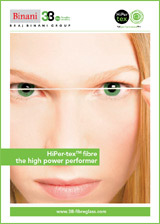 HiPer-tex® is 3B's high performance fibre: high strength, high modulus and high elongation at break. 3B-the fibreglass company is a member of the United Nations Global Compact initiative since 2015. Yearly Sustainability report 2017.